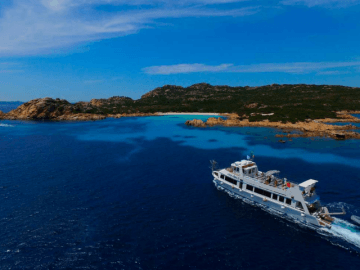 Visit the most beautiful islands of the stunning La Maddalena archipelago during a day trip with the 22-metre-long ship Lady Luna. 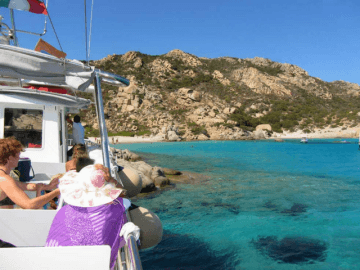 Explore the natural park and swim and lounge on the breathtaking beaches of Budelli and La Maddalena. 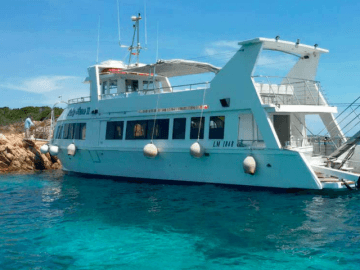 Having embarked on the Lady Luna in the port of Palau you'll sail to the beautiful Budelli Island. Don't forget to bring your camera to take a picture of the pink beach Spiaggia Rosa and the Roccia del Coccodrillo ("alligator rock") along the way. You can enjoy a refreshing dive in the natural pool of Piscine Naturali. After this first stopover you can enjoy the pasta lunch. The tour continues to Santa Maria and Sparghi. En route you can dive in the Mediterranean to cool down multiple times. 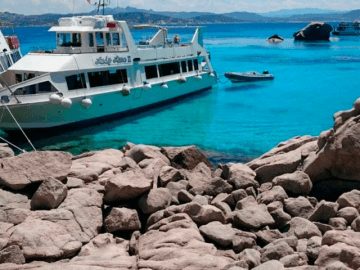 The final stopover will be at the La Maddalena island, where during a visit to the town you can stroll through the picturesque alleys, to various shops and the port of Cala Cavetta. 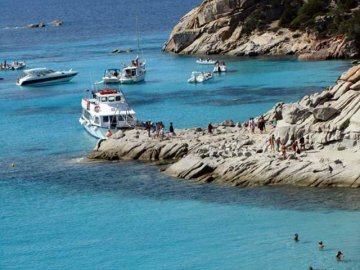 On your way back you can spot the island of Santo Stefano and Caprera. 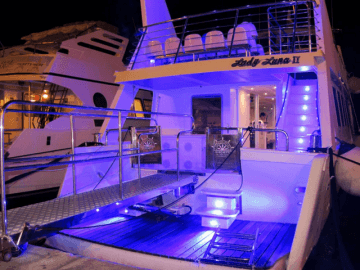 The comfortable Lady Luna is provided with a lounge with tables and chairs, an observation deck, ladder and a bridge to dive off of. 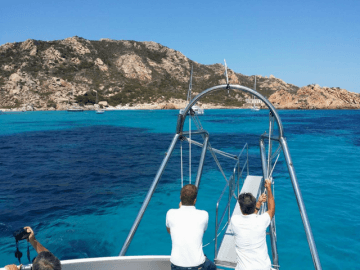 The experienced crew and their commander with over 30 years of experience in the marittime sector will make sure you will enjoy a safe, carefree, relaxed and memorable day on board. Nice. The luck is that we are still a bit in the preseason. 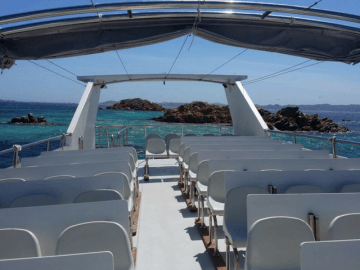 We highly recommend booking a boat trip! Mooie excursie, vriendelijke mensen op de boot die hun best doen het ons naar de zin te maken. Geen klachten.